In May 2014, an amazing thing was recorded in medical history. 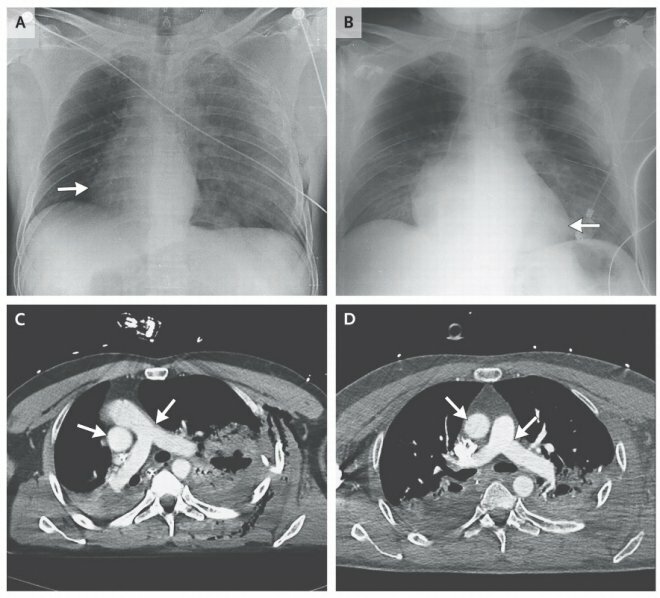 After a motorcycle crash, a man’s heart rotated 90 degrees within his chest and went on his right side. The report was published in the New England Journal of Medicine. A 48-year-old-man was severely injured in a motorcycle accident in Italy. He was immediately taken to a hospital. When the doctors started treating him, they figured out that there was something seriously wrong with his chest. When they tried to measure his heart rate they found that his heart was on the right side of his body and not on his left. He was then taken for a X-ray and CT scan. The scan revealed that the heart had rotated 90 degrees to the right within the body and now was on the right side of his chest. The report published in the medicine journal says, “A chest radiography and computed tomographic scan showed a 90-degree rightward rotation of the cardiac silhouette and great vessels”. Further it is stated that, “A total-body CT scan showed rightward rotation of the pulmonary artery and aorta, rotation of both atria and rotation of both ventricles”. When a total body scan was done, it was found that the great vessels – the pulmonary artery, aorta, both atria and both ventricles had also rotated to the right. The patient was also suffered from a punctured lung, multiple rib fractures and a ruptured spleen as a result of this accident. Despite the severe injuries the man was not only alive but was awake and alert when he was brought to the hospital. Dr. Gregory Fontana who was the chairman of the department of cardiothoracic surgery at Lenox Hill Hospital in NYC said, “This is a very interesting anatomical finding, and it’s very unusual, I have never seen anything like it. What’s unique about this case is the way the heart had rotated so far in the other direction, and the patient was still awake and alert.” Dr. Fontana was not directly involved in the case. The doctors said that the heart did not rotate to the right side of the chest because of the accident but this must have happened after some minutes of the crash. Doctors say that air released out of the punctured lung into the space around his chest. The leaked air then must have pushed and rotated the heart. The doctors later drained the air inside his chest. After 24 hours, the man’s heart came to its original place. Investigations done later revealed that the heart was uninjured and there was only a slight drop in the blood pressure of the patient because of the blood vessels obstructed by rotation. Dr. Fontana further said, “This is a very interesting anatomical finding and it’s very unusual. The structures in the back of the heart and the big arteries are fixed to the spine and to the tissue but the heart kind of floats around in the sac around it.” After the heart was in its original position, the spleen was removed in an emergency procedure. After removing the spleen and with a few broken ribs the patient fully recovered from his injuries. A follow-up investigation and a CT scan showed that the heart and the blood vessels showed no signs of permanent damage. The doctors were equally amazed by this incident. The specialists also accepted that human body is still a very big mystery, there are many things we are still unaware of and there will be many things which will fascinate us in the future.